Amber Fults, second fro left, and The Ambivalent Lovers perform tonight. * What: Amber Fults and the Ambivalent Lovers present "Dark Side of the Rainbow." * When: 9:30 p.m. today, Nov. 22. * Where: Rhythm & Brews, 221 Market St.
* "Breathe (In the Air)"
* "The Great Gig in the Sky"
* "Any Colour You Like"
To hear Amber Fults describe it, prepping to play Pink Floyd's "Dark Side of the Moon" album tonight has been like learning to mountain-climb without oxygen. 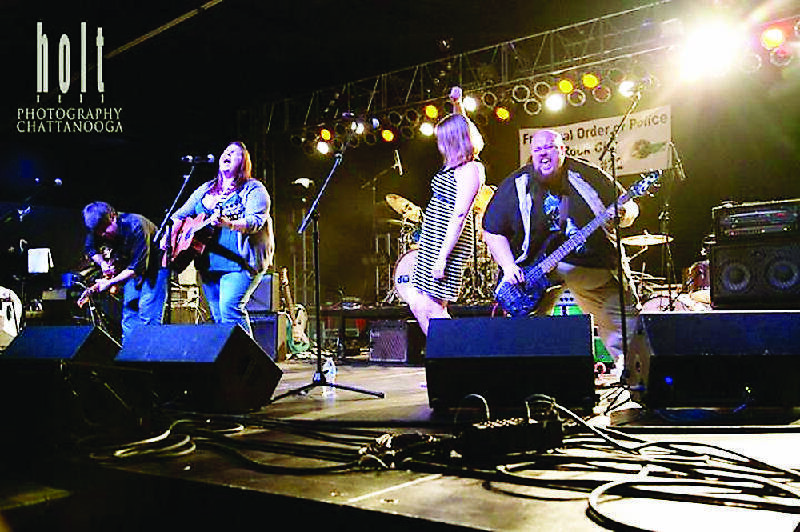 Fults and her band, The Ambivalent Lovers, will perform a start-to-finish rendition of the British rock legend's 1973 opus, which will play simultaneously with a projection of "The Wizard of Oz," a well-known, bizarre case of multimedia synchronicity. Although the album isn't known for complex solos or challenging vocal acrobatics, it is a nonstop assault, Fults said. "Even though ['Dark Side'] is only 45 minutes, you feel like you're playing for three hours because it's continuous; there's absolutely no break," Fults said. "We didn't really think about it until we played it all the way through the first time and felt like we'd run a marathon. Adding to the strenuousness of the experience, the show will be bookended by sets of the Lovers' original music. "We're going to have to pace ourselves," Fults added, laughing. "The first song is called 'Breathe,' but I feel like I haven't taken a breath since we started." 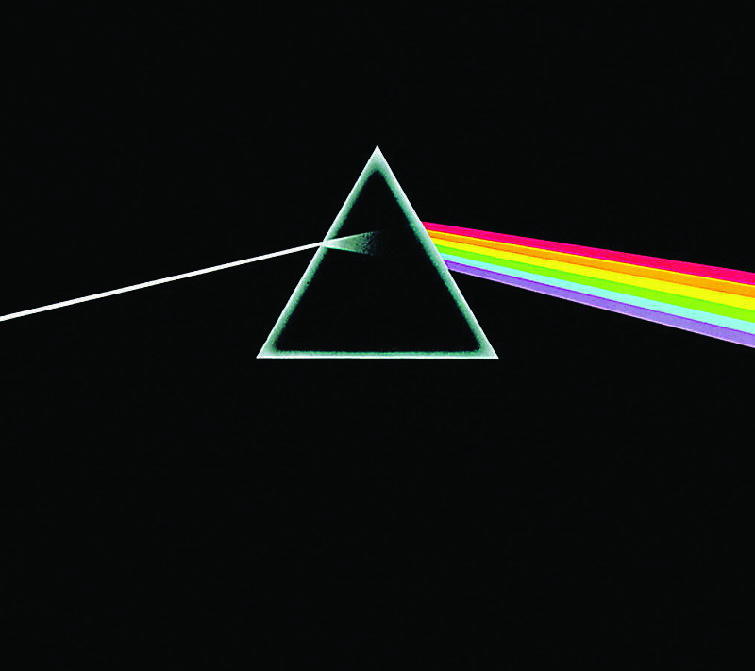 The connection between "Dark Side of the Moon" and "The Wizard of Oz" was first enumerated in 1995 by Charles Savage, a writer for the Fort Wayne Journal Gazette. When played simultaneously, "it's as if the movie were one long art-film music video for the album," Savage wrote. So-called "Dark Side of the Rainbow" shows have become a fixture at Floyd cover shows, but when the Lovers started prepping this summer, Fults said she hadn't heard the album all the way through and wasn't aware of the connection. "It's bizarre," she said. "I was sitting there and it was like, 'This is blowing my mind.' "
Since then, Fults has listened to the album nonstop and developed an appreciation for Pink Floyd's technical complexities and deeply emotional songs. That respect notwithstanding, though, she's ready to take a break. "It was cool to take care of Pink Floyd's babies for six months," she said, laughing. "But I'm ready to give them back."